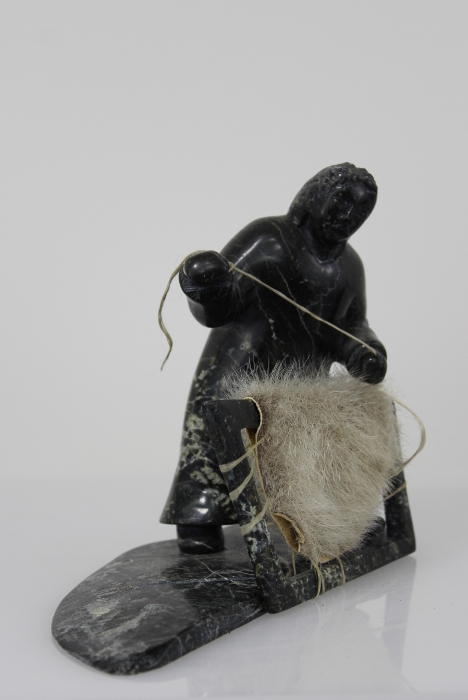 The use of sealskin in this piece is part of what makes it so compelling. 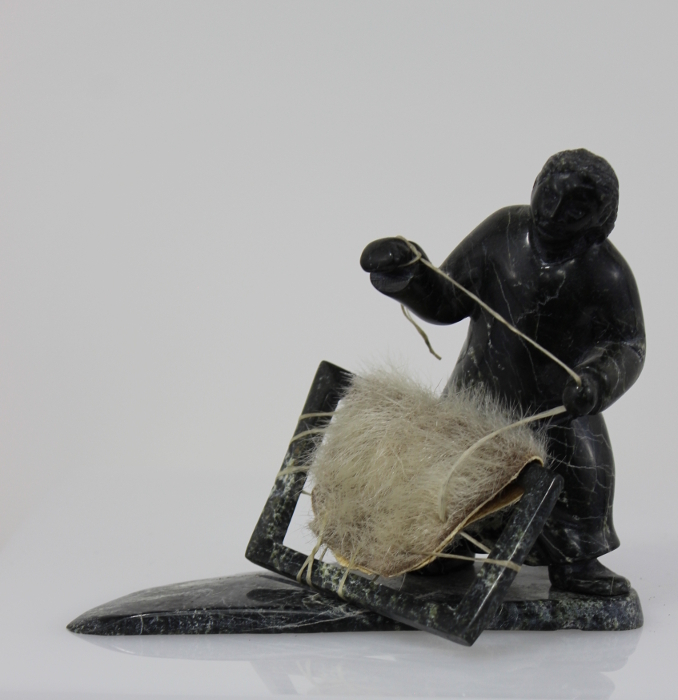 Etidloie often creates artwork that portrays chores or work activities. 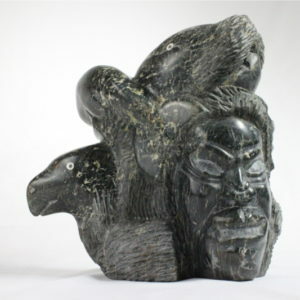 He does an excellent job of capturing the essence of movement of daily life. 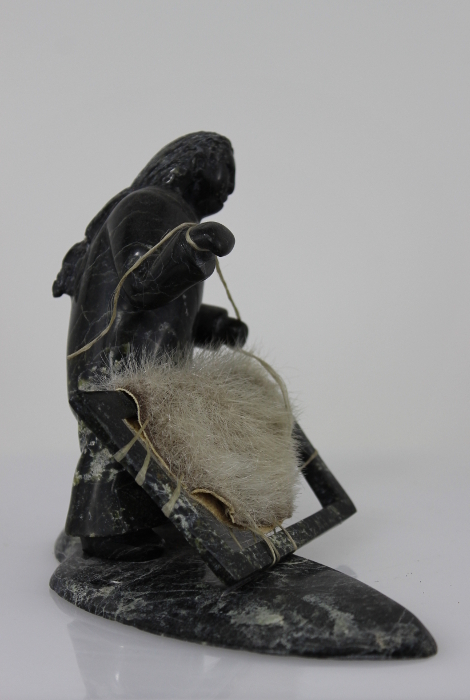 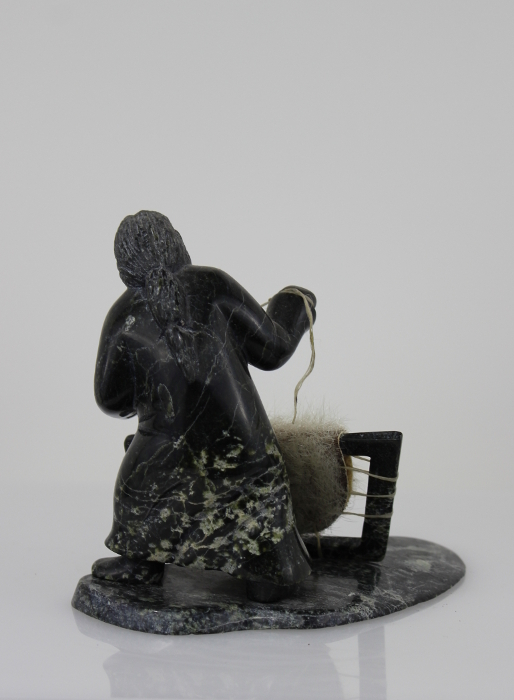 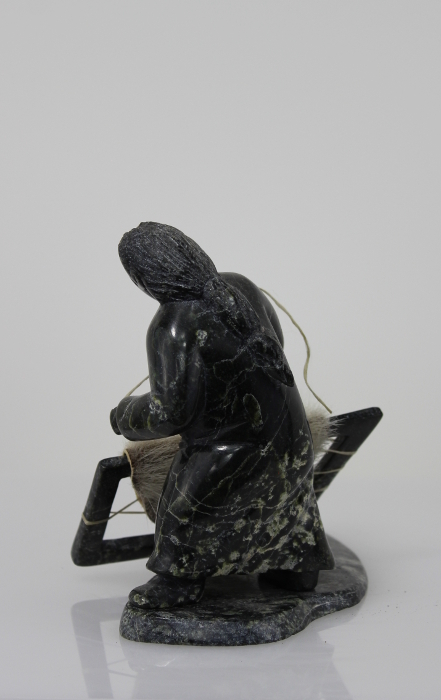 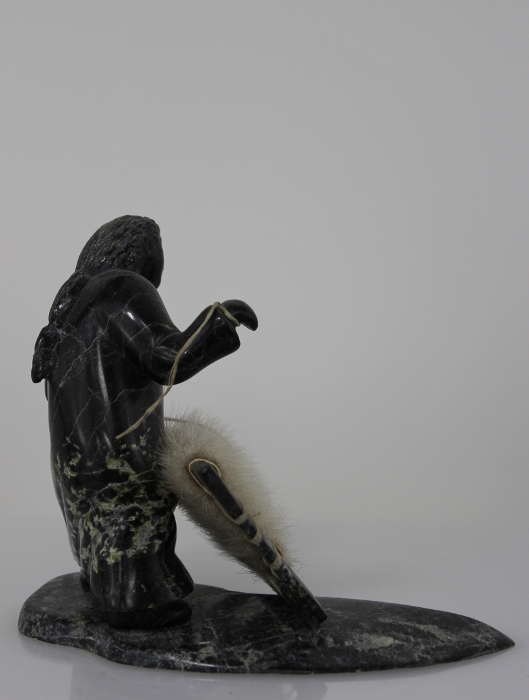 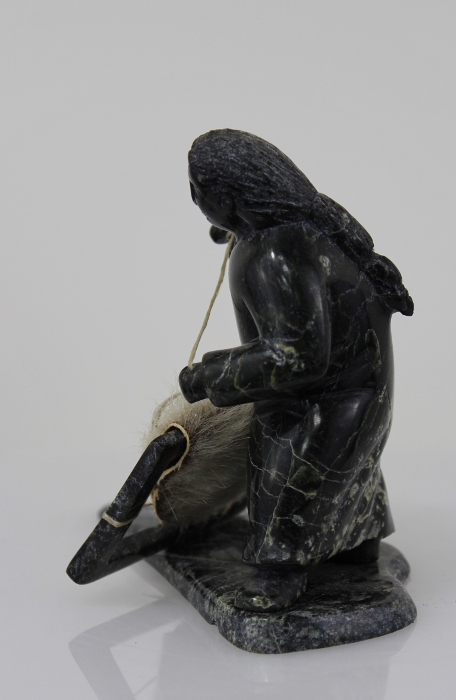 “Woman with sealskin” is a stunning multi-media sculpture that is a prime example of his talent. 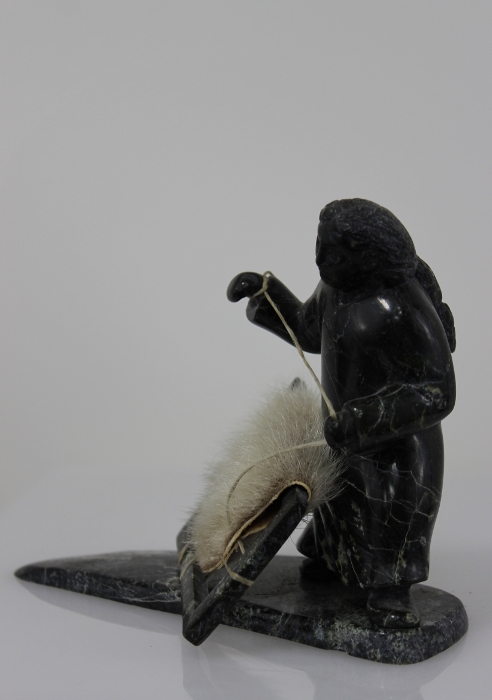 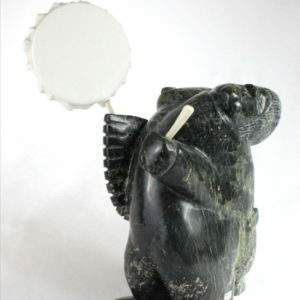 Due to the use of sealskin in the piece, shipping is restricted to within Canada.